Videogames have historically had a pretty rough relationship with Hollywood, but if there ever was a franchise that lends itself naturally to a summer blockbuster adaptation, it’s got to be Monster Hunter and its endless stream of magnificent boss fights. 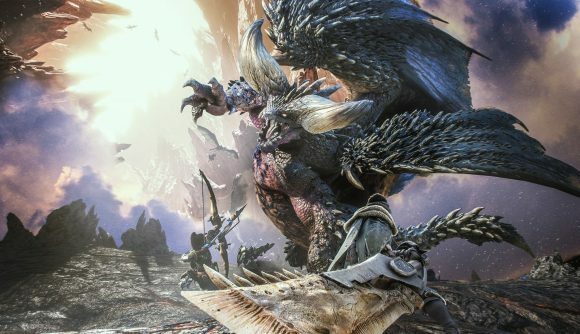 Now Capcom has confirmed rumors that a Monster Hunter film is in the works, and it’s got some big-name talent attached. Monster Hunter: World publisher Capcom confirmed Thursday that the Monster Hunter movie begins production this month, with Resident Evil director Paul W.S. Anderson directing, writing, and acting as top-billed producer. Anderson’s wife and fellow Resident Evil alumna Milla Jovovich will star alongside Hellboy and Pacific Rim actor Ron Perlman, and rapper and actor T.I. has also signed on. This week, actor Diego Boneta, who you might recognize from the brief 90210 reboot or the Mean Girls 2 TV movie, announced he would be part of the Monster Hunter cast. As Variety reports, principal photography is scheduled to begin this month in South Africa and Namibia, both of which are characterized by the kinds of breathtaking natural beauty that’s always been an important element of Monster Hunter. Let’s just hope the movie features less fussing around with inventory management than the games do. But we’re definitely excited about seeing Deviljho’s big-screen debut. No word yet on whether that’s the part Perlman will be playing.